Visit Malaysia and be mesmerized by the amazing destinations that are unique to this part of the globe. There is never a dull moment as you discover Malaysia. In one day you could be shopping at a grand shopping complex and having the best of modern entertainment and the next, you could be in a tropical rainforest, exploring the very best that nature has to offer you here in this land. When having holiday in Malaysia, the state of Melaka is definitely a must-visit state. Your trip to Malaysia would not be complete without visiting the famous monuments that were planted here back in the day. 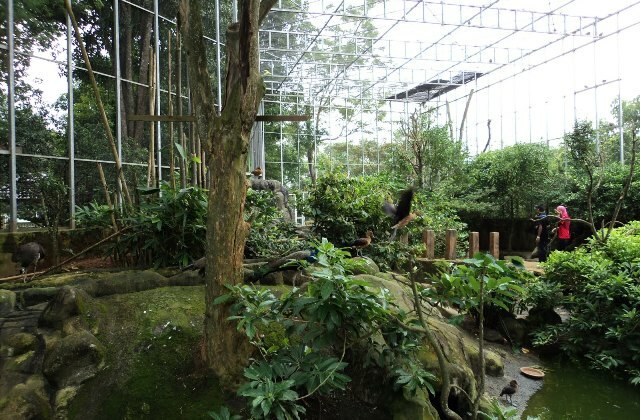 While Melaka is famous for being the cradle of history for the nation, it is also a great place to drop by and get up close and personal with nature. One good place to visit in Melaka is the Ayer Keroh Recreational Forest. Opening its doors to the public in 1984, this recreational forest promises you a time of tranquillity and an amazing experience as you explore the surroundings. The locals come here on weekends because there are jogging tracks here that give them the best jogging experience. If you are up for a trekking experience, here would be a great place to start your journey. Keep your eyes opened for good spotting’s of the friendly species here in the recreational forest. The trails are safe and user-friendly with many well-marked labels along the walkway that help you find your way around. The orang Asli settlement park is right here as well and is a great place to visit to gain an insight into the lifestyle of these Aborigines. The recreational park is also home to a Deer Park and is a great place to bring children to feed the friendly deer. The park is very vast and open, making it a great place to go for an evening stroll, enjoy a picnic or watch the sun set. There are many kiosks around this recreational park that sell refreshments and light snacks if you ever get hungry. Camping out at Ayer Keroh Recreational Park is also a great way to spend your holiday while in Melaka. Spend a night or two, sleeping right under the stars and see the very best of nature at night. For a small fee, you get to enjoy the very best of basic camping facilities that have been set up in the park. If you are not up to setting a tent up to camp, the park also offers you comfortably equipped cabins for a very affordable price. The park is also dotted with huts in some areas and is another interesting option to put up a night in the park.